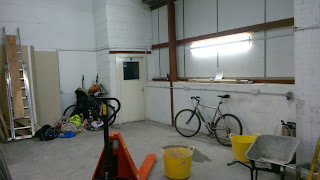 The last picture, as always is the back fermentation room, which has been the office and kitchen for the last few weeks, that and general store room. 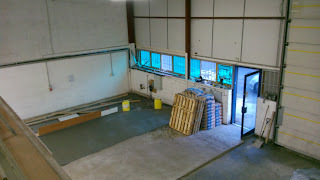 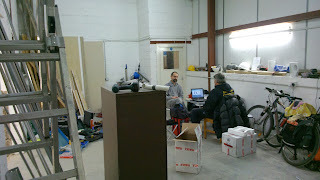 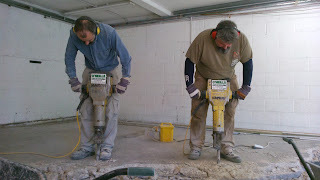 Here you can see Gregg and Mike having a discussion about the layout of the office area on the mezzanine. 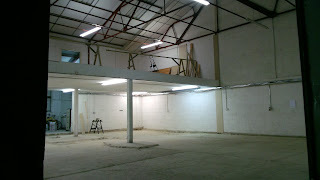 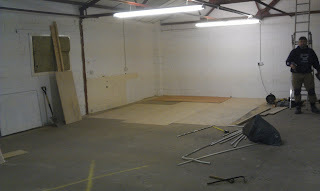 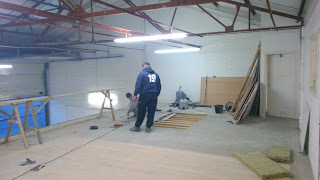 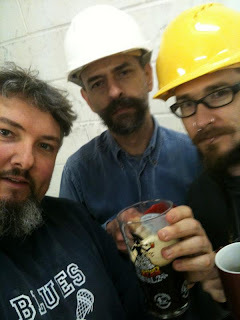 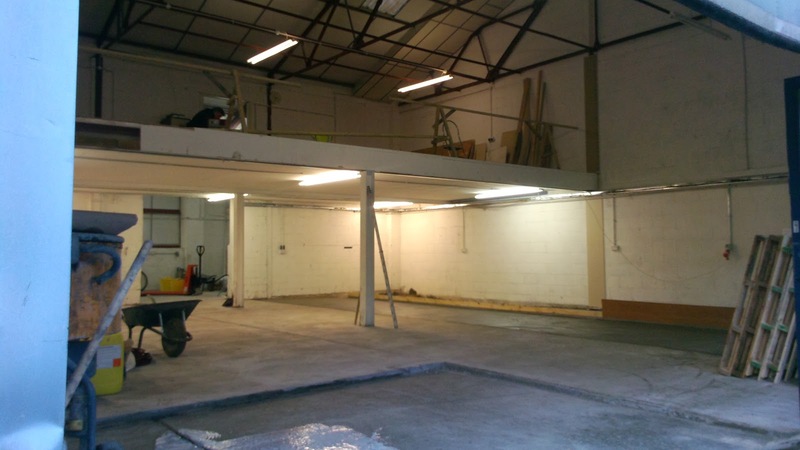 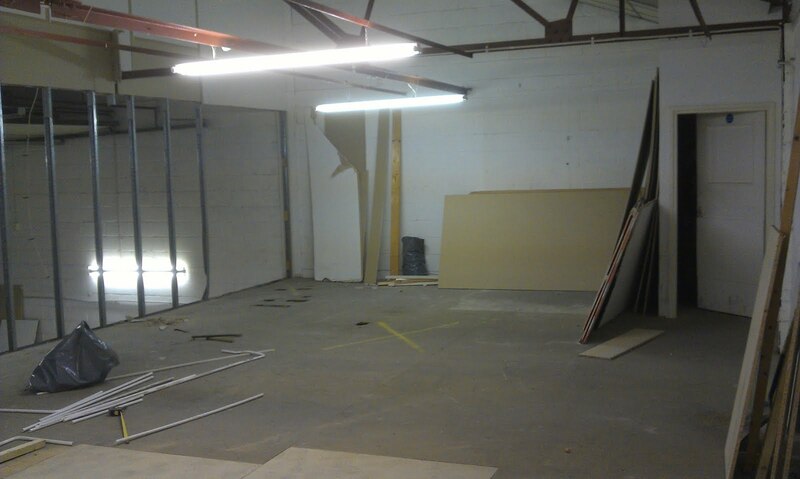 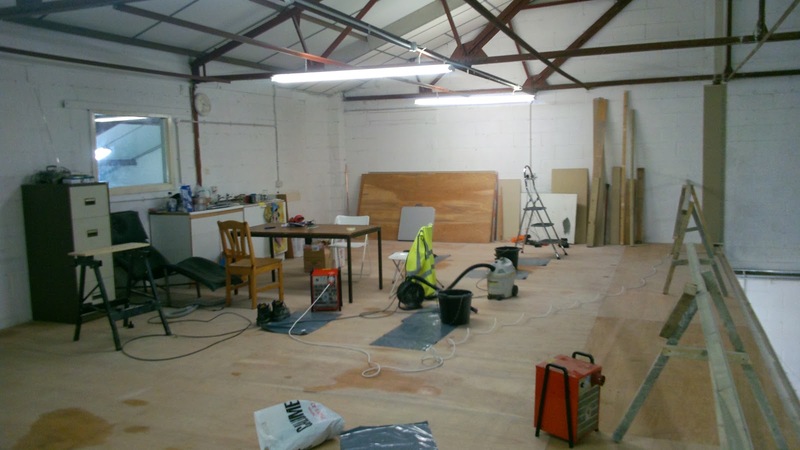 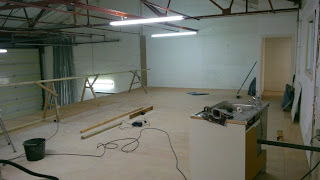 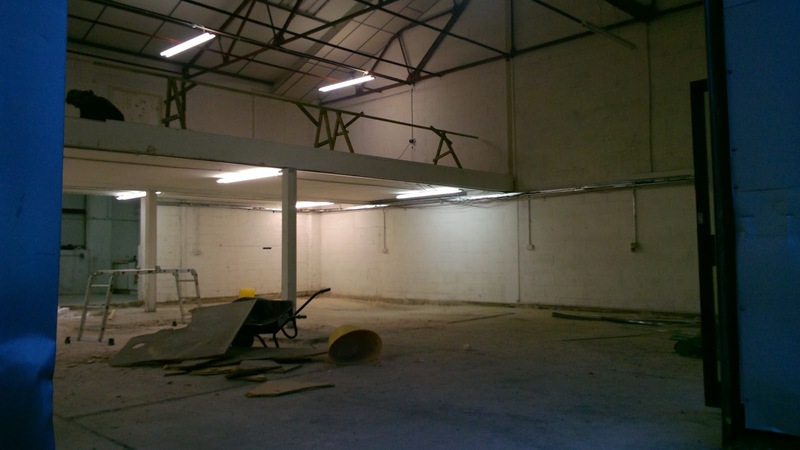 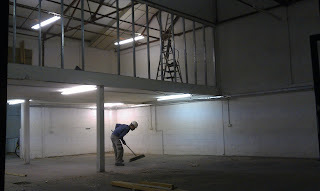 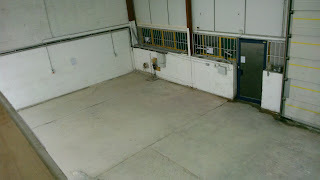 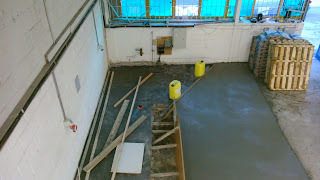 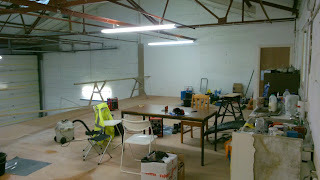 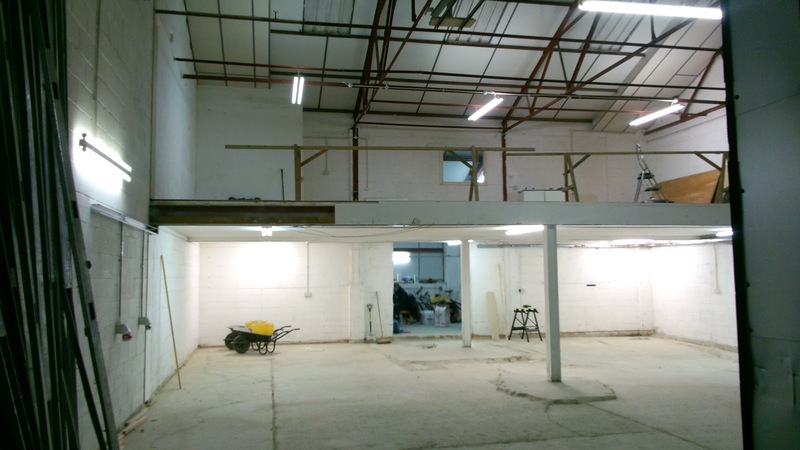 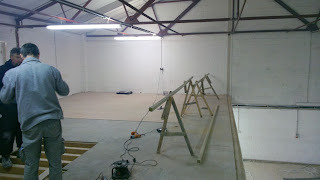 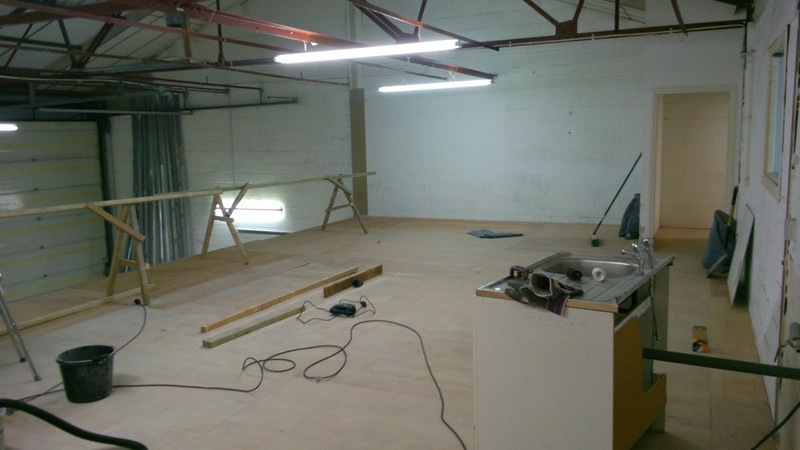 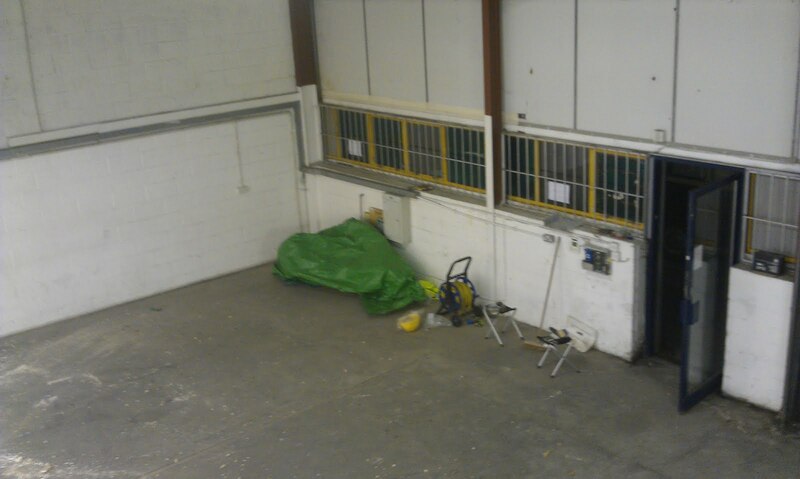 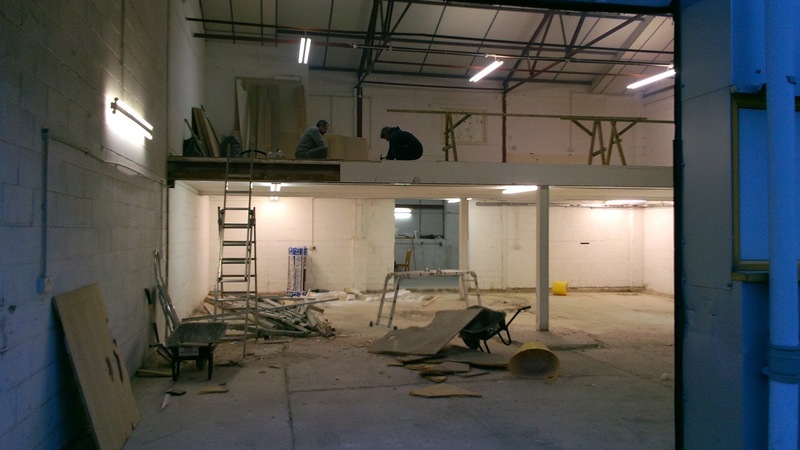 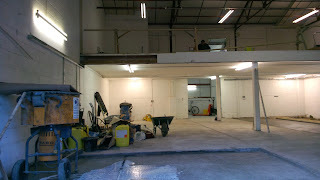 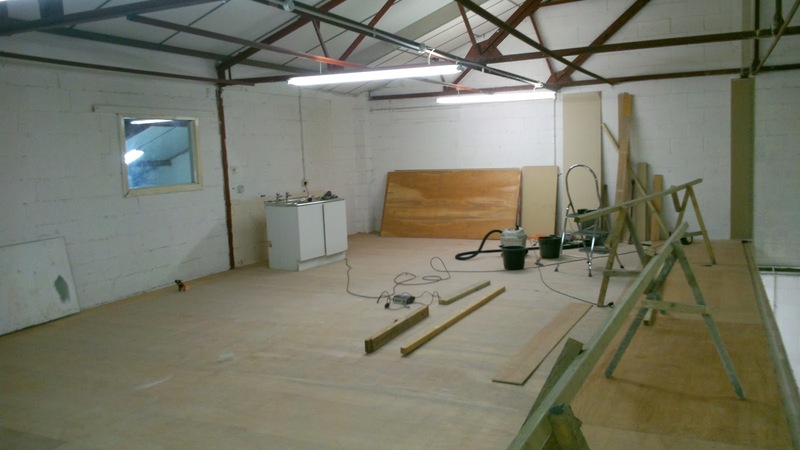 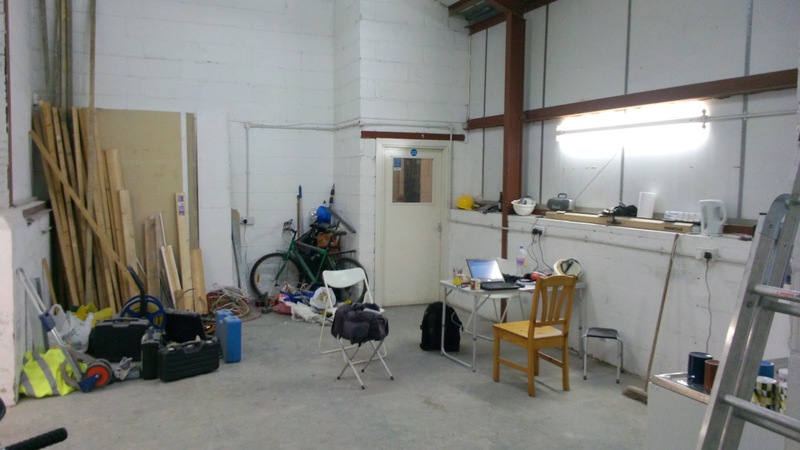 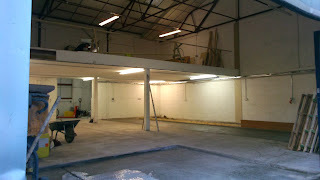 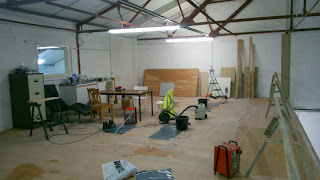 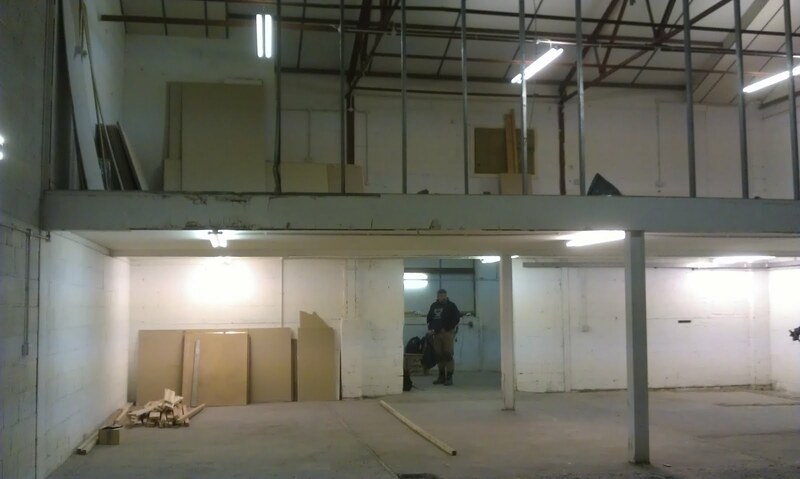 OK, so its been a whole week now since we got the keys to our new home, and we have been busy trying to get it ready to house our shiny new 10 bbl brew house that is due to arrive in just a few weeks. 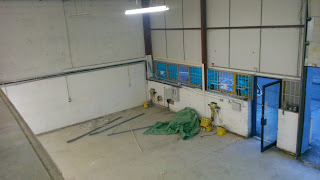 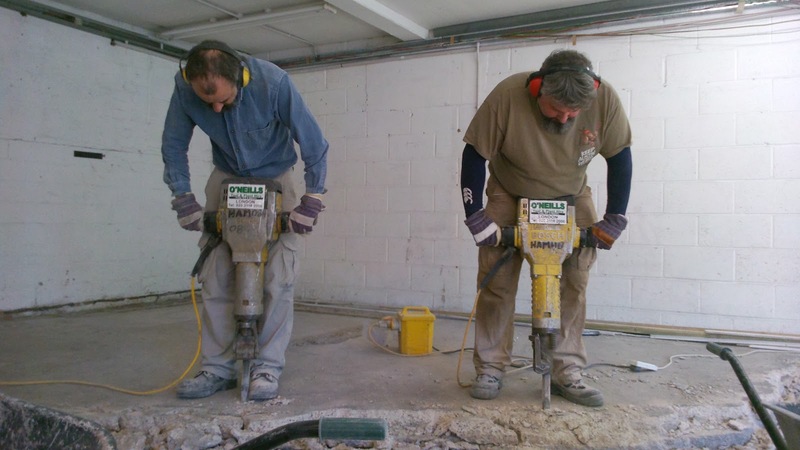 You can see last weeks pictures here but here are this week’s pictures. 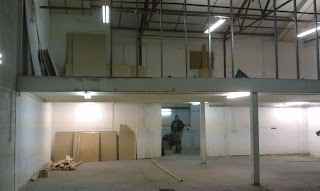 I tried to take them in the same location as last, so the progress, if any, is apparent. 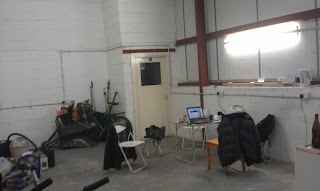 This weeks were taken in the evening when the light was not so good, just to prove that we are putting in the hours and staying late.